What happens when you have elevated white blood cells? Since white blood cells fight off infection, people tend to think that elevated levels are actually beneficial. This is not necessarily the case! A high white blood cell count isn’t a specific disease, but it can indicate another problem, such as infection, stress, inflammation, trauma, allergy, or certain diseases. That’s why a high white blood cell count usually requires further investigation. The InsideTracker blood analysis measures your white blood cell count, and will tell you whether it is in the optimal zone for you. If your white blood cell count is elevated, you should speak with your doctor. In addition to your total white blood cell count, InsideTracker also measures the different types of white blood cells, which can give clues as to what may be causing the elevated white blood cell count. The types of white blood cells include: neutrophils, lymphocytes, monocytes, eosinophils and basophils. Neutrophils, which account for about 70% of white blood cells, can increase in response to bacterial infections as well as to physical or emotional stress. A high lymphocyte count may occur when there is a viral or bacterial infection. 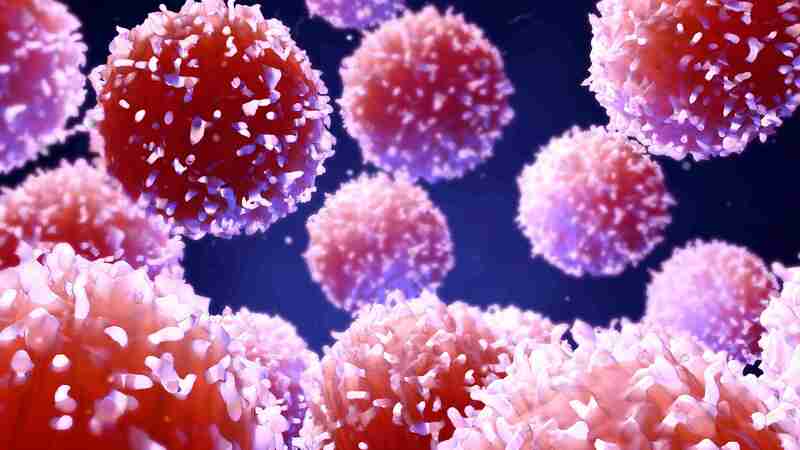 Increased monocytes can indicate chronic inflammation. Elevated levels of basophils and eosinophils may occur when there is an allergic response or in cases of a parasitic infection. What are the symptoms of elevated white blood cell count? The only way to truly determine if your levels are too high is to get your blood tested, by your physician’s office or through InsideTracker. People with high (above normal) white blood cell count, a condition called leukocytosis, typically don’t have any specific symptoms, but may have a medical condition that is responsible for raising white blood cell levels. The specific number for high (above normal) white blood cell count varies from one lab testing facility to another, but a general rule of thumb is that a count of more than 10,500 leukocytes in a microliter of blood in adults is generally considered to be high, while 4,500-10,500 is considered within the normal range. Since a high (above normal) white blood cell count can be a symptom of another underlying problem, you might experience symptoms that are associated with that condition. However, people with leukocytosis may also experience a combination of these symptoms: fever, fainting, bleeding, bruising, weight loss, and general pain. What are the causes of elevated white blood cell count? Infection – as infection-causing bacteria or viruses multiply in the blood, your bone marrow produces more white blood cells to fight off the infection. Infection can also lead to inflammation, which can in turn cause the number of white blood cells to increase. Smoking or Chronic Obstructive Pulmonary Disease (COPD) – essentially, COPD means that you have a lung and airway disease like emphysema or chronic bronchitis that blocks proper airflow. It is commonly caused by cigarette smoking, which results in inflammation in the lungs and air passages. As you gain more inflammation in your lungs and airways, your body will produce more white blood cells to fight it off. Leukemia – leukemia is a type of cancer that dramatically increases your number of white blood cells. Leukemic white blood cells are often non-functional, which may increase the risk of infection in these cancer patients. Immune system disorders – some auto-immune disorders like Crohn’s or Graves’ disease can elevate your white blood cell levels. If you have one of these conditions, your doctor should monitor your white blood cell levels. Stress – finally, emotional or physical stress can also cause elevated white blood cell counts. The good news is that white blood cell levels will return to normal after the stress is gone. How does exercise affect your white blood cell count? If you got your blood tested right after working out, you might not have to worry—your body actually increases your white blood cell count during exercise! In fact, this increase in the activity of your white blood cells might actually allow your body to identify disease-causing organisms more rapidly than under normal circumstances, which is yet another benefit of exercise. Immediately after exercise, your levels of white blood cells increase in proportion to the intensity and duration of the workout. One study showed that runners’ white blood cell levels triple during a marathon. Since the amount of white blood cells then drops to its normal level after exercise, you should ideally wait one day after a heavy workout session to get your blood tested. What types of foods will help to decrease your elevated white blood cell count? Omega-3 fatty acids – omega-3 fatty acids are a type of polyunsaturated fat (or PUFA) that is known to increase heart health and elevate the activity of phagocytes, a type of white blood cells that protect you from foreign bacteria. Omega-3 PUFAs are found mainly in fatty fish like trout, herring, and salmon, but also in walnuts and flaxseed. Studies have shown that PUFAs significantly increased white blood cell counts in women on a controlled diet. Antioxidants - Antioxidants are a type of a molecule that protects our cells against harmful molecules called free radicals, which damage cells, protein, and DNA (for instance, free radicals cause peeled apples to turn brown). Eating more phytochemicals helps protect against this type of damage. Phytochemicals with antioxidant capacity include allyl sulfides (found in onions, leeks, and garlic), carotenoids (in fruits and carrots), flavonoids (fruits and vegetables), and polyphenols (in tea and grapes). While they don’t specifically work to increase white blood cell count, they help to support a healthy immune system. Vitamin C – Vitamin C helps the body to produce more white blood cells, which in turn helps the body to fight infections. All citrus fruits—including oranges, lemons, and limes—contain vitamin C. You can also get vitamin C from other fruits, such as berries, papayas, pineapples and guavas, and vegetables, such as carrots, broccoli, cauliflower, brussels sprouts, and bell peppers. In addition to these nutrients, you may want to invest in some non-alcoholic beer! Believe it or not, one study showed that drinking 1 to 1.5 liters of non-alcoholic beer for 3 weeks before and 2 weeks after running a marathon helps to reduce both inflammation and white blood cell count! Whether or not you are an athlete, use InsideTracker to find out your white blood cell levels so you can optimize your performance and your overall well-being by taking the proper action if you find out they’re too high! Don't forget to view the free InsideTracker demo here!